It’s time to welcome yet another DSM! 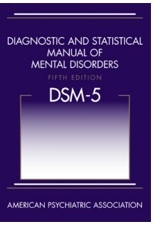 The Diagnostic and Statistical Manual of Mental Disorders has recently published the fifth edition of its standardized criteria for the classification of mental disorders. The DSM-V and all of its changes have been in effect since May 2013, so today I will review the new criteria for autism. Previously referred to as PDD (Pervasive developmental disorders), the name of the disorder is now ASD or Autism spectrum disorders. In the previous DSM, the five disorders that fell under PDD were Autistic Disorder, Asperger’s Syndrome, PDD-NOS, Rett Syndrome and Child Disintegrative Disorder. Now, Autistic Disorder (autism), Asperger’s Syndrome, and PDD-NOS all fall under ASD and are no longer separate diagnoses. CDD has been taken out and Rett Syndrome is now a specifier (more detail later). The DSM-IV-TR required individuals to express difficulty in the three dimensions of social skills, communication, and restricted and repetitive behaviors. The DSM-V combines social interaction and social communication into one dimension and maintains restricted and repetitive behaviors as one dimension for a total of two dimensions. For the first dimension (social communication and social interaction), the individual must exhibit all three symptoms, but these symptoms can range from mild to severe. The former DSM required that an individual exhibit at least six symptoms across three dimensions. For the second dimension (restricted and repetitive patterns of behavior), the individual must exhibit at least two of the four symptoms, again ranging from mild to severe. Important to note: One of the symptoms under this dimension highlights increased or decreased reactivity to sensory input or unusual interests in sensory aspects of the environment. There was no mention of sensory input before and most professionals who work with individuals with autism can attest that this is an important factor to consider. The DSM-IV-TR required that symptom onset occur prior to the age of three. The DSM-V does not specify age of onset, only indicating that symptoms present in the early developmental period. However, these symptoms might not occur until social demands are placed on the individual and those demands exceed the individual’s capacity. Previously, Rett Syndrome was included under PDD. Now, if a child meets ASD criteria, that child will receive an ASD diagnosis with etiology (the cause) as the specifier. So, ASD with Rett Syndrome or ASD with Fragile X syndrome (both genetic disorders). This change allows individuals with other genetic disorders to receive the ASD diagnosis and receive services whereas before, individuals with only genetic disorders would not be considered for the diagnosis. Other important factors contributing to the individual's difficulties can be labeled with the ASD diagnosis as modifiers. For example, an individual who experiences seizures in addition to meeting the ASD criteria will receive a diagnosis of ASD with seizures. ASD with intellectual disabilities is another option. The DSM-V also allows diagnosticians to specify the perceived age of onset and pattern of onset, which gives more information as to the individual’s early history. ASD with onset before 20 months with loss of words specifies the time of perceived onset as well as a description of the behavior pattern. The DSM-V allows for the differentiation of severity levels for ASD along the two dimensions of social interaction and social communication and restricted and repetitive patterns of behavior. Level 1 denotes that the individual requires support, level 2 that the individual requires substantial support, and level 3 that the individual requires very substantial support. If an individual experiences marked deficits in social communication, but does not otherwise meet the criteria for ASD, this individual should be evaluated for Social Communication Disorder. Social Communication Disorder is a new disorder and is a rule out disorder for ASD. In order to be diagnosed with social communication disorder, the individual cannot also meet criteria for ASD. Individuals can now be diagnosed with both ASD and ADHD. ASD was considered the more pervasive disorder prior to the DSM-V. It is important to remember that ASD is now a true spectrum, as individuals can exhibit behaviors that range from mild to severe across the two dimensions. The DSM-V has moved autism criteria from categorical to dimensional. Each child diagnosed with ASD will present differently and it is important to consider each child’s strengths and weaknesses. It will be interesting to see how the DSM-V ASD criteria is received in the community and hopefully, individuals will be properly diagnosed and receive the services they need. I found much of this information from The Center for Autism and Related Disorders’ segment on the DSM-V and the Autism Speaks webpage on DSM-V criteria. Check them out for more information!